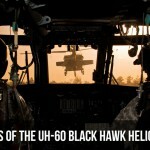 Since 1979, the UH-60 Black Hawk has provided tactical transport and air utility services to U.S. Army’s 101st Airborne Division. As you can see in the video below, the Black Hawk, with air support provided by the AH-64 Apache, enables the 101st to have an unmatched expeditionary air assault capability. 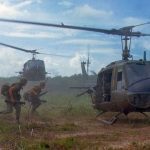 The Black Hawk is a four-bladed, twin-engine, medium-lift utility helicopter that has served the United States Army, Navy, Air Force, and Coast Guard. This successful platform is versatile, dependable, rugged, and has also served numerous other countries like Brazil, Colombia, Israel, Japan, Turkey and Sweden, just to name a few. Powering the UH-60 are two General Electric T700-GE-701C turboshaft engines. The T700 is one of the most successful turboshaft engines ever built. With these powerful engines, a Black Hawk’s capabilities include carrying two pilots, two crew chiefs, along with eleven troops or six stretchers. It can carry 9,000 lb. of external cargo. 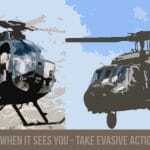 See video of the Black Hawks air lifting artillery guns to the field. The T700 is very reliable and easy to maintain. This engine has been successful in battle, extreme environments, and commercial services. The GE turboshaft has successfully powered 25 types of civilian and military helicopters, like the UH-60 Black Hawk, the AH-64 Apache, the Marine Corps MH-60 Seahawk, and the U.S. Air Force HH-60 Pave Hawk. The T700 even powers some fixed-wing civil and military aircraft. 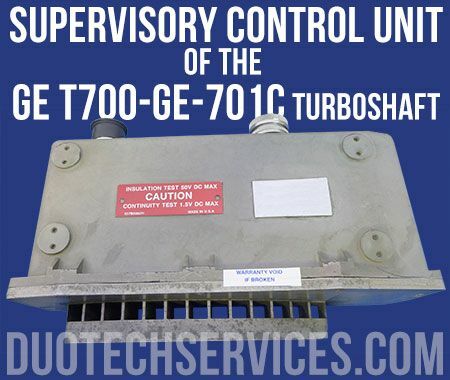 For continuous monitoring of its performance, the General Electric T700 is connected to a Supervisory Turbine Engine Control Unit (p/n 5078T29G02 NSN 2995-01-367-7628). This electronic control unit provides performance monitoring of engine speed, engine temperature, airflow, as also adjusts the fuel control to compensate for changes. It may also have the capability of load sharing, rotor speed governing, loss-of-load protection, and analog or manual backup modes. Pictured here is the Supervisory Turbine Control Unit for the General Electric, T700-GE-701C. This unit was repaired by Duotech Services technicians who support electronic components of the UH-60 and AH-64 helicopters. DSI technicians evaluated the equipment and discovered several defective components. The faulty components were replaced and the serviceable unit was returned back to the customer. 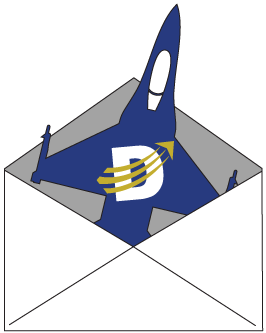 Duotech maintains an AS9100C registration and is a qualified repair station for thousands of items. Search here to see if your item is already part of our capability. Even if the part number is not in our list, that does not mean that we cannot repair it. There are many equivalent part numbers or similar items that we can work with. If in doubt, please contact us.